Exposure to electromagnetic fields is not a new phenomenon anymore. However, everyone is exposed to a complex mix of weak electric and magnetic fields, both at home and at work, from the generation and transmission of electricity, domestic appliances and industrial equipment, to telecommunications and broadcasting.Low-frequency electric fields influence the human body just as they influence any other material made up of charged particles. 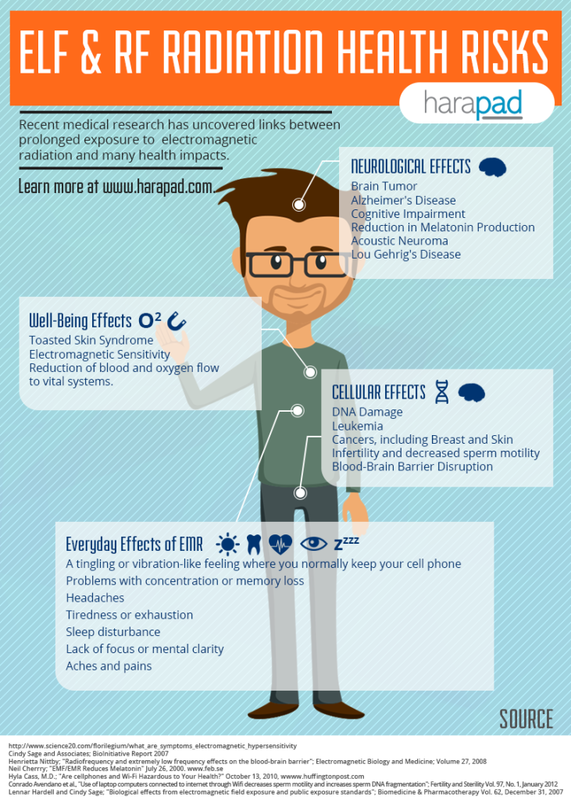 Recent medical research has uncovered links between prolonged exposure to electromagnetic radiation and many health impacts that you can find in the infographic bellow.